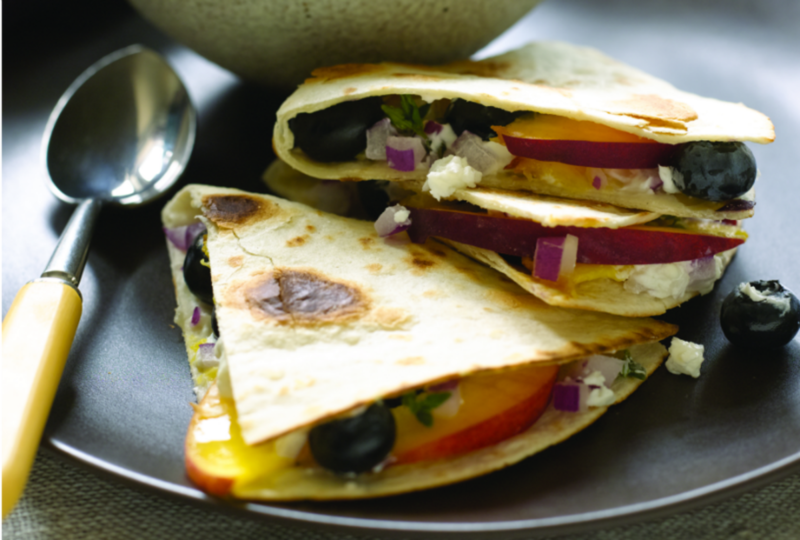 My Blueberry and Cheese Quesadillas make for a lovely summer lunch. 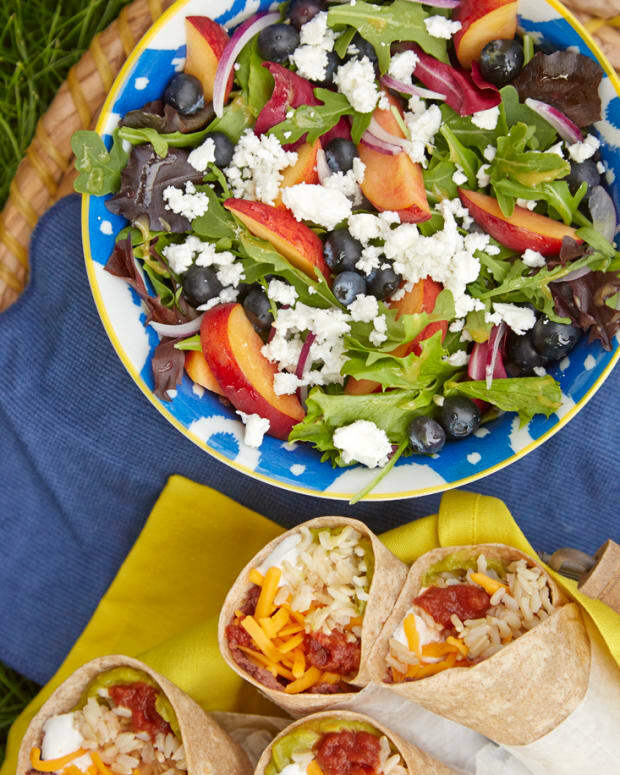 Filled with blueberries, sliced peaches, goat cheese, red onion and thyme you can savor them warm or at room temp. In Israel (or anywhere else for that matter) you can skip the blueberries and instead add sliced plums, strawberries or even pitted cherries. Mix blueberries, peaches, goat cheese, onions, and thyme in a medium bowl. 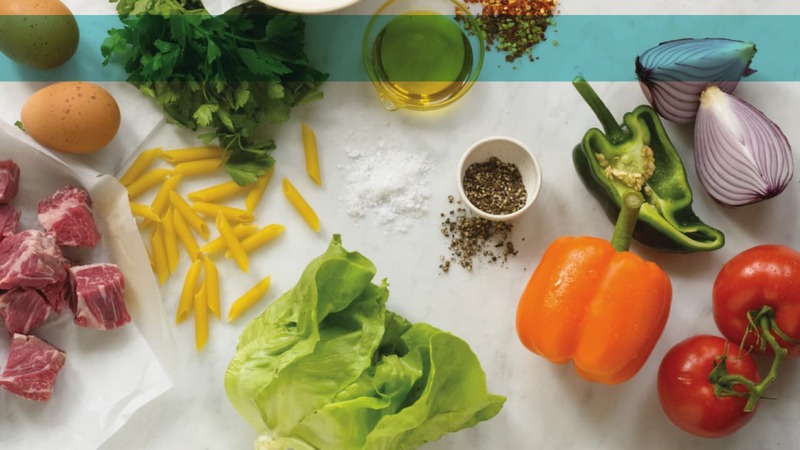 Lay out tortillas on a work surface. Spoon one-quarter blueberry filling over half of each tortilla. Fold the other half of the tortilla over filling. Spray a large sauté pan with cooking spray. Heat the pan over medium heat until hot. 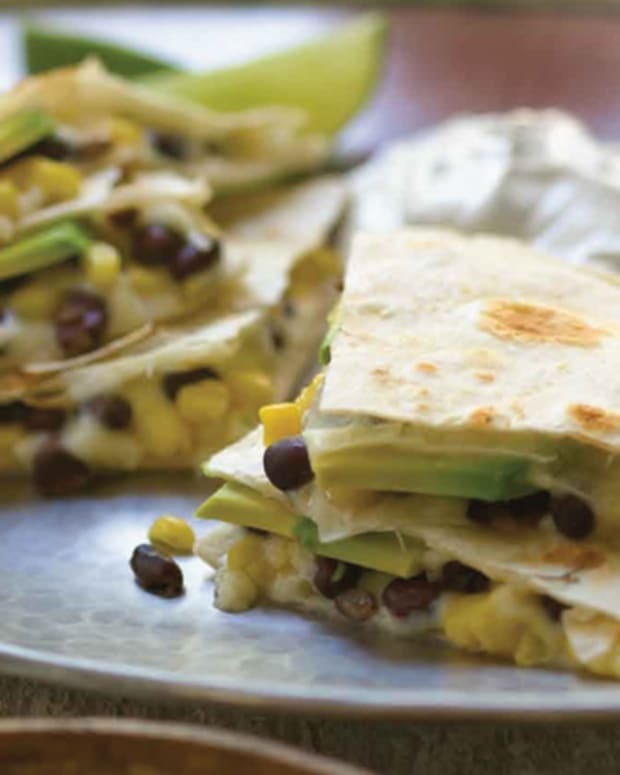 Place two quesadillas, side by side, in the pan. Cook for 2 minutes on each side or until cheese is melted, being careful not to burn. 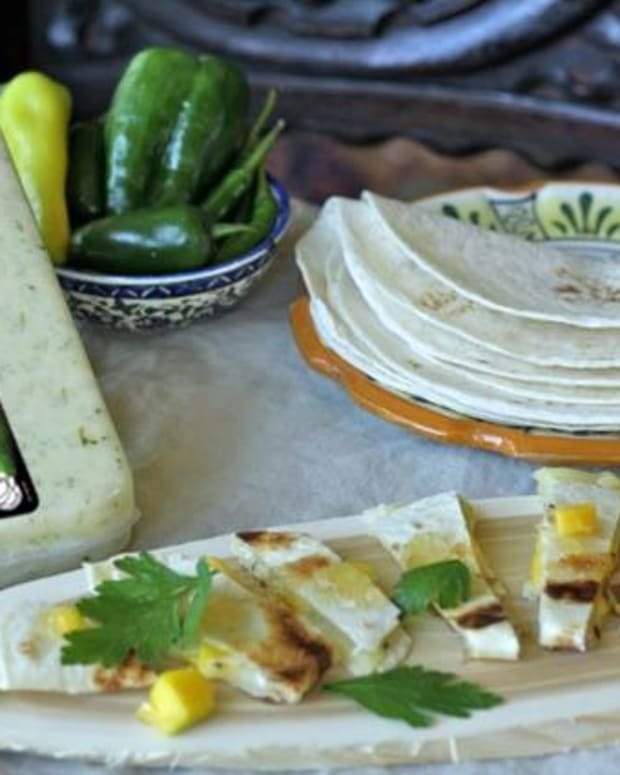 Transfer quesadillas to a cutting board. 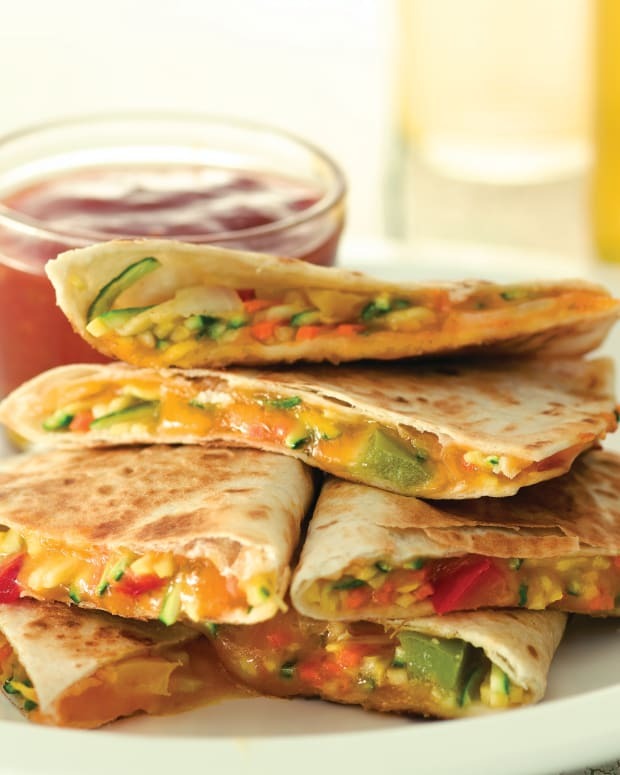 Cook remaining two quesadillas. 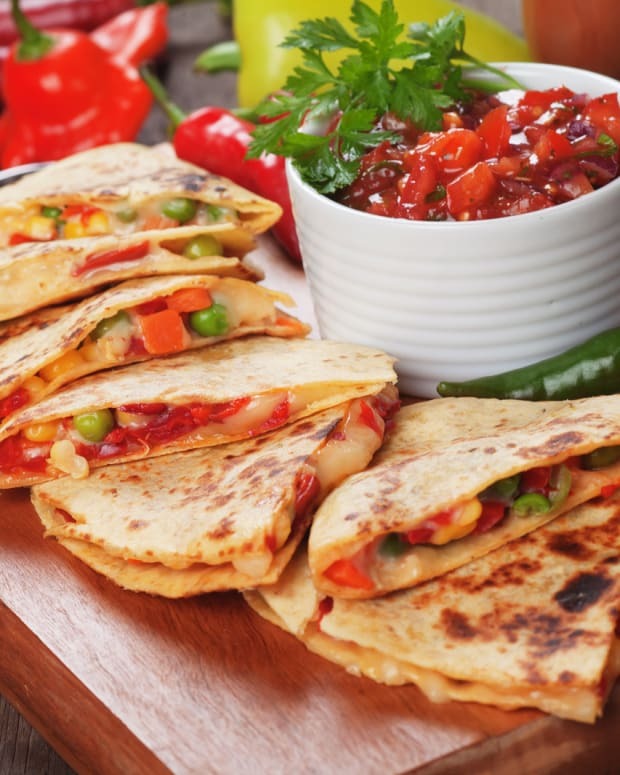 Cut each quesadilla into three wedges. 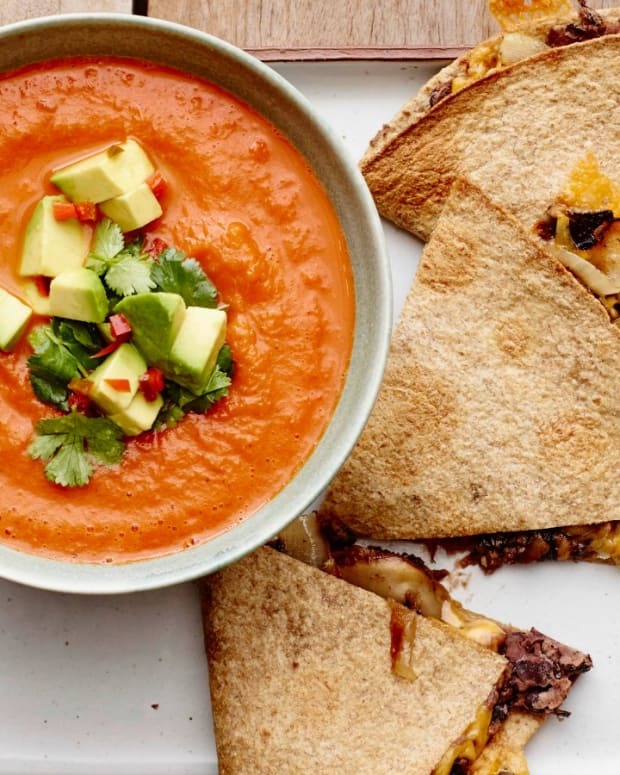 Plate fruit filled quesadillas and serve with Sweet Potato Leek Soup.